Preheat oven to 200ºC (400ºF). Place the beetroot, carrots, honey, 1 tablespoon of the oil, cumin and salt and pepper on a large baking tray and toss to coat. Roast for 10 minutes. Add the chicken and chickpeas to the tray, drizzle with the remaining oil and roast for a further 25–30 minutes or until the chicken is cooked through. 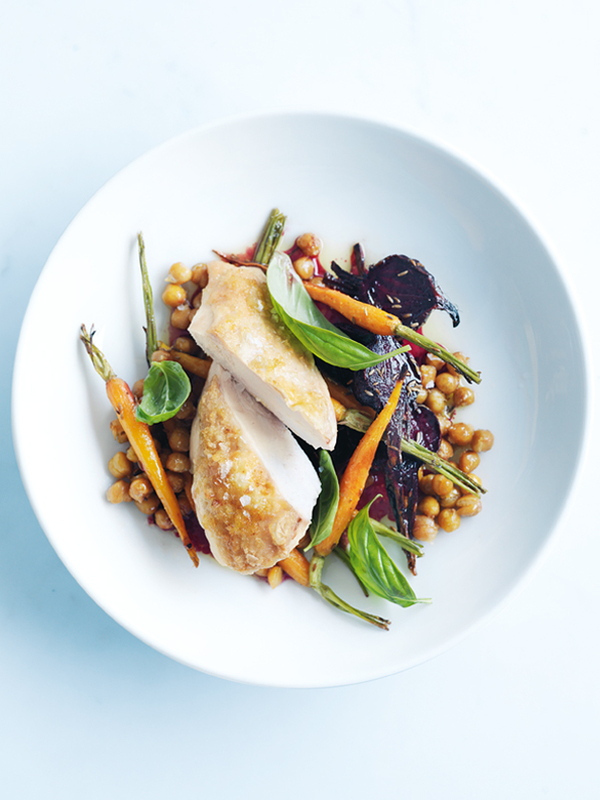 Top the chickpeas and vegetables with the sliced chicken and basil leaves to serve. Serves 4.